Top Rated Local® is pleased to announce that, due to their impeccable Rating Score™, Grayhawk Medical Group is an award-winning family doctor’s office in Arizona. From annual check-ups to weight loss programs, Grayhawk Medical Group provides a variety of services to keep its patients in Scottsdale at their healthiest. When asked what makes Grayhawk Medical Group different from other family doctors, Office Manager, Yanna, said that they always go above and beyond for each and every patient, and that they take every patient very seriously. We also asked Yanna about why Grayhawk Medical Group does what they do. She said that, with larger groups of physicians, patients will often get lost in the process. But since Grayhawk Medical Group is one of the few solo providers left, they are there to take the time to truly listen and care for their patients. 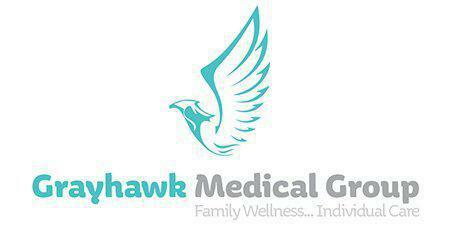 To the staff at Grayhawk Medical Group, every patient is extremely important. Yanna says that Grayhawk Medical Group’s secret to such a strong online reputation lies in their focus on great customer service. They provide next-level care, and their happy patients go on to leave reviews and spread the news about the care they received to their friends, family and neighbors. They are also always there for new patients who are looking to make Grayhawk Medical Group their forever doctor. Thank you so much, Yanna, for taking the time to share your secrets to success with us, and congratulations to you and the whole team at Grayhawk Medical Group for being a 2018 Top Rated Local award winner! If you’re interested in learning more about Grayhawk Medical Group or you’re looking for the right family doctor in Scottsdale, visit their website today!